Durable metal construction. Frosted plastic lens. Certified by Rust-Oleum. Tough, protective finish shields exterior and interior components to stand up to adverse weather conditions, resist chipping and fading. Superior protection against moisture and rust. 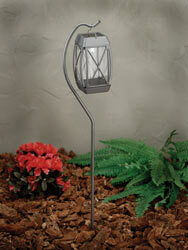 Yes, we designed the Solar Helix Walk/Garden Light for perfection! 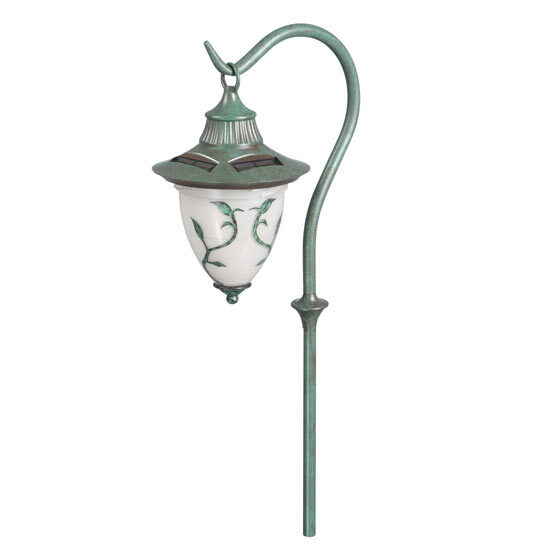 Our Solar Helix Walk/Garden light is powered is metal design and this smaller scale fixture will add interest to your landscape with it's swirled metal design. The white LED will glow through the frosted plastic lens. 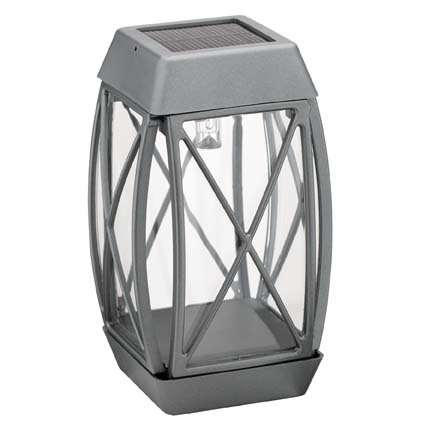 Named for a French Country Walk Light and Brand New to SC Origin, the Solar Walk Light is the perfect addition to any commercial or residential property. The stylish "French" design is perfect for adding a subtle, but effective accent to your walkways, drives, or landscape edgings without breaking the bank with one of the fastest best-sellers SC Origin has ever had. Located on top of each light is a powerful single crystalline solar panel which allows for the daily collection of solar energy which is stored in a rechargeable battery. Each solar panel recharges its internal battery pack during the day, and releases the stored energy during the night through a high capacity LED. 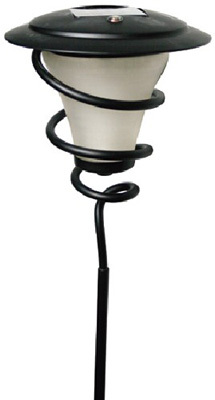 Its low voltage design is safe and environmental friendly. Our new high output Solar Tranditional Walk Light produces adequate lighting for pathways, flowerbeds, and that unfilled space in your garden. Includes shepherds hook and post mount for hassle free mounting. Constructed with powerful white LED's and a unique optical reflector that enables the light generated to be cascaded outward. Located on top of each light is a powerful single crystalline solar panel which allows for the daily collection of solar energy which is stored in a rechargeable battery.